Last week we spoke to our office manager, Alayne. This week, we're chatting to Gwion Rhys Davies, a resident member at TechHub Swansea! I spend most of my time working with Paul (director of TechHub) on some of his projects, experimenting with new tech and learning as much as I can. I am also working on iSee, a mobile puzzle game based on iSpy. I started developing iOS apps back in 2010 with my first app bring released in 2011, before going to Uni to study Computer Science! Software development specialising in mobile and embedded systems. I am the Director and it's been 1 year. I was working in another company at TechHub before deciding to go it alone. Getting credited because I have a massive ego. I achieved an 'A' in A-Level electronics 2 years before my peers back in 2009. Build working miniature models, mostly of trains. I play a big part of the Swansea Railway Modellers Group of which I'm the club's Webmaster. I am also into photography, video and 3D Printing. I live in Fforestfach, Swansea and I've been doing so for the past 4 years. I want to see more done in the way of the 'Internet of Things' and 3D Printing... but I'd really like teleportation to happen. My laptop, my phone and unlimited money. I have met and spoken to Sir Terry Matthews on several occasions. 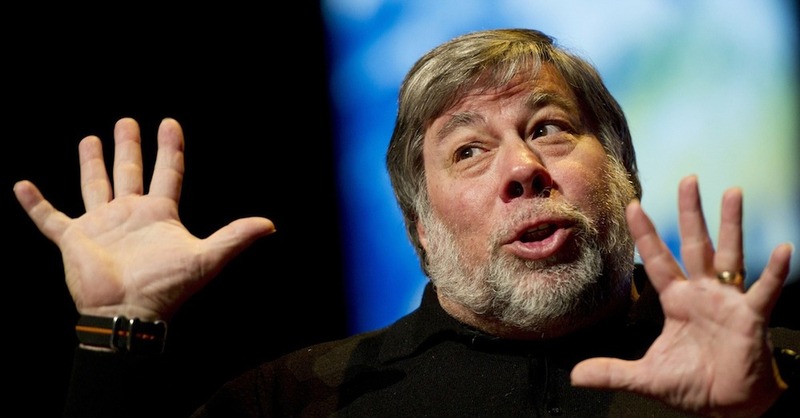 Steve Wozniak, the all great and powerful Woz. I was born deaf and cured at the age of three with an operation. Thanks, Gwion! Remember, if you want to get involved just click: I want to Play 20 Questions with TechHub Swansea! Ctrlio plan expansion on the back of closing $1.3 million funding round!